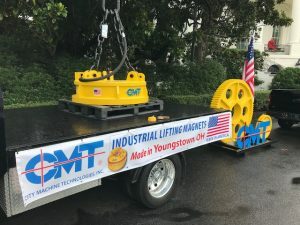 Can a large scrap yard magnet wreak havoc on a computer hard drive like it did in the tv show Breaking Bad? Find out on MythBusters Jr on the Discovery Channel Saturday, February 9, 2019, at 9 a.m. The City Machine Technologies Inc. large yellow scrap magnet that was on the South Lawn of the White House in July 2018 for the Made in the America Product Showcase made it to Hollywood. 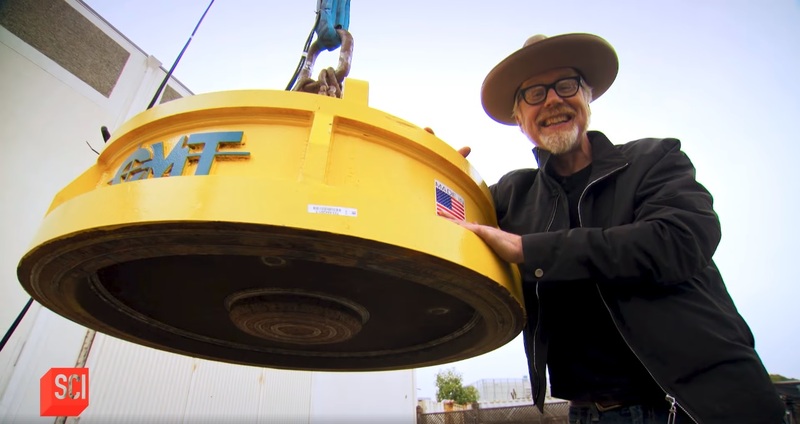 See the magnet’s television debut on MythBusters Jr with host Adam Savage on Saturday.